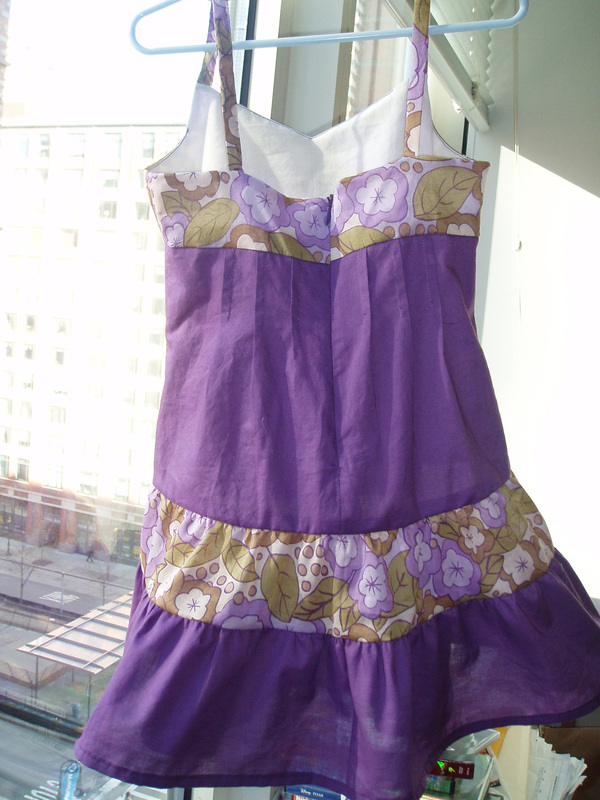 This entry was posted in Beginner, Crafting for others, Dresses, Gifts, New Look, Sewing. Bookmark the permalink. Aw. She looks absolutely delighted. Katie and the dress are adorable! Kudos on improving your skills and the “new boyfriend”. Keep up the great work!! Wow! Your darling niece really wears that dress well. It’s amazing how you’ve gotten to the point with your sewing where you are breaking and rearranging the rules in typical Elizabeth fashion !!! It’s great!!! Totally adorable… love the color on her. It’s lovely, you’ve done a wonderful job! 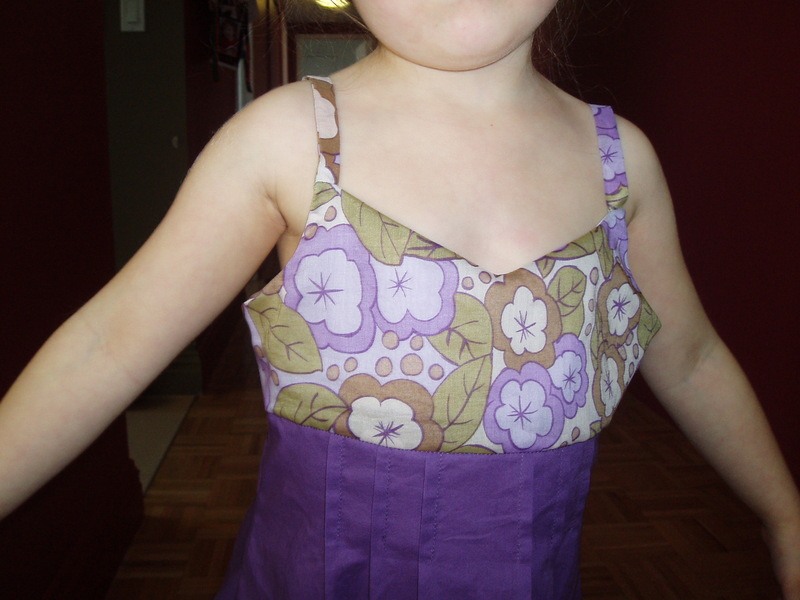 Great job and you definitely made the right call on the zipper as the back of the dress is mostly purple. Nice job in mixing the fabrics too. That is adorable ~ and you did such a great job. I am not sure if you did this or not – but I found that when I use the pinking shears – I still run a row of stitches up each side very close to each of the pinked edges. 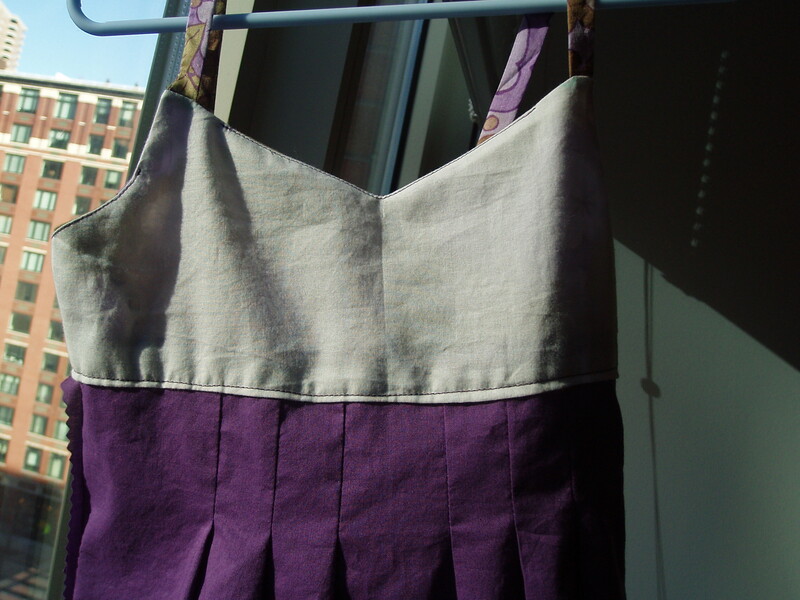 Just using the pinking shears won’t stop the fraying after a couple washes – but by having the stitches it will. You, in essence are sewing along each seam 3 times – once to join it, then once on each side – but in the end it is worth it. I love your enthusiasm – and your beautiful eye for colors and fabrics! Love your blog too. So cute! 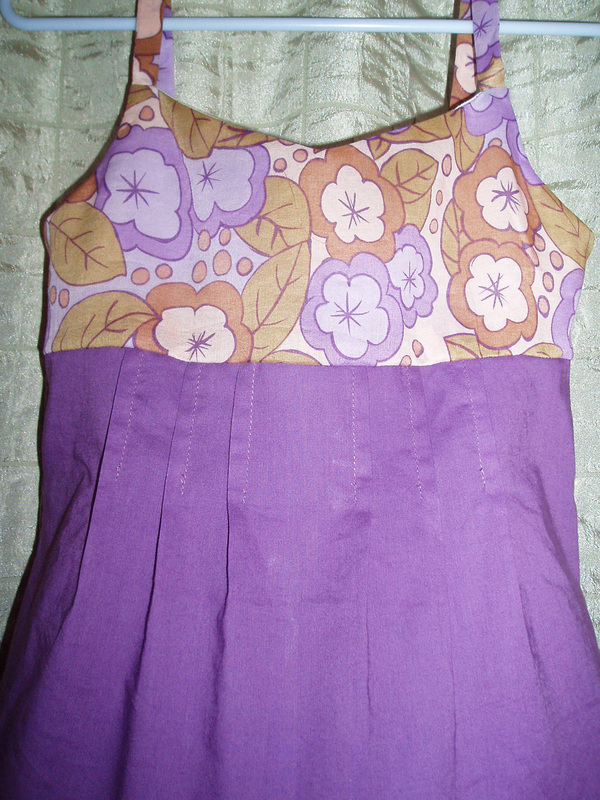 I love those fabrics together. 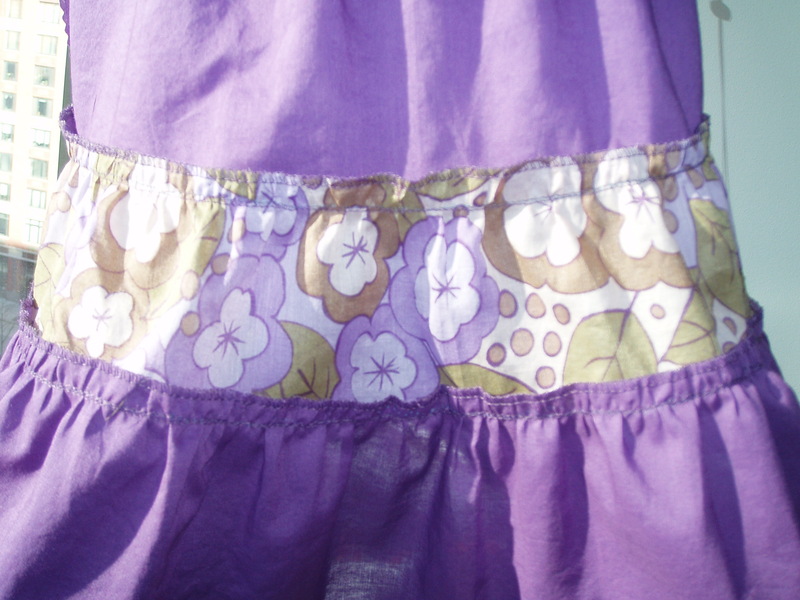 Re: invisible zippers–my trick is to sew one side down by machine and then hand baste the other side to match. I always grumble about hand-work, but really the hand basting only takes a few minutes. I’m happy to have found your blog. 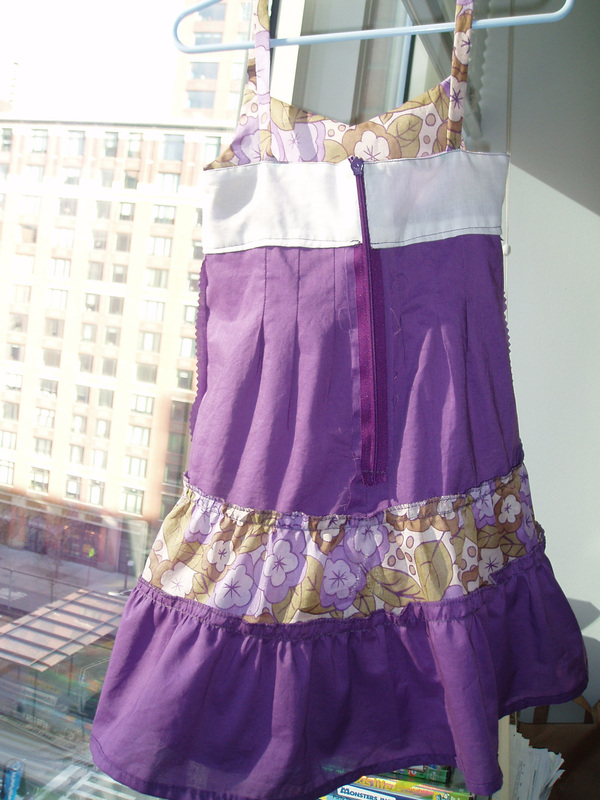 Your little girl’s dress is adorable. Nice ! Come over to my place sometime and chat! It looks awesome. Seriously like something Anthropologie would sell – if they sold children’s wares. 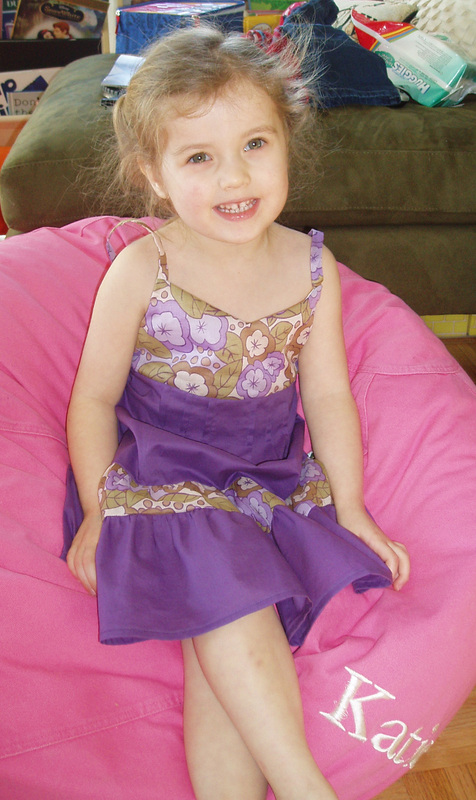 It’s a really cute dress and I wouldn’t worry about it being a little large…you know that she’s going to grow into it! And I actually like grown-up prints better than little girl prints on dresses!